Sahadi’s on Atlantic Avenue is enough to make me want to move to Brooklyn. I’ve wanted to go there since Emily B. first mentioned it to me last year, but it’s closed on Sundays, which is the only day I’m ever around Brooklyn Heights or Cobble Hill (for open houses, my favorite Sunday pasttime). When I took a Uruguayan visitor to the nabe last weekend for sightseeing, I thought Sahadi’s might be an option for lunch. And it was. After you get through the ridiculous room of bulk spices, nuts, and coffee that makes you feel like you’re in Morocco, you reach the unbelievable deli, where everything is oily and beautiful and cheap. As we waited in the seemingly interminable line, little women kept coming out of the back bearing steaming trays of gorgeous food. We feasted on several of these phyllo-wrapped tidbits (that’s mushroom and eggplant on the left, and spanakopita on the right; we also had a wonderful tomato and feta version, as well as one with potato and herbs). Each item cost slightly more than a dollar, and we were stuffed and happy after sitting on a Brooklyn Heights stoop and eating every shred of dough and filling. 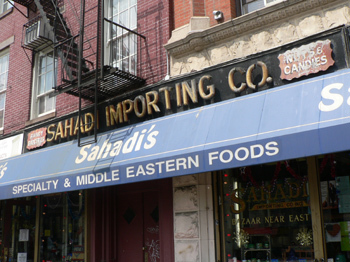 Sahadi’s had overflowing bins of coffee beans at $5 a pound, as well as nuts, meals, candies, and flours, all at good prices. It’s worth the detour from Manhattan, and possibly worth adding that part of Atlantic Avenue to my apartment search. I’ve been wanting to go there and now I’m moving away from New York. I’m going to have to start a list of places I need to visit when I come back. This is definitely one of them. Sigh. i assume you’ve been to kalustyans here in manhattan too? SO glad you made it to Sahadi’s!! Such a gem. Jeannie: No, I shamefully admit that I haven’t! But I will soon. Mary: Where are you going? Brooklyn is looking more and more appealing these days. Sahadi’s just adds to the allure. I’m gonna have to try it. Glad to hear that I’m not the only one with an open house obsession! I’m moving to Ann Arbor, Michigan. I’ll be posting about the move and arrival soon. This departure is making me sad because of so many missed opportunities – I would love to meet you! 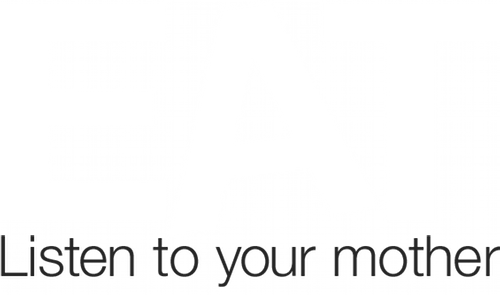 But I’m happy for lots of other reasons and not just career choices – Ann Arbor is a great food town! Thanks for asking. Related to this post – the Detroit area has the largest population of immigrants from the middle east in the US, so expect to hear about this cuisine from me in the near future. I have to go again … and soon!!! !